Nadia Cakes is hiring for our Minnesota locations! 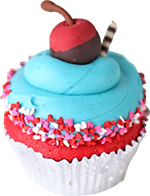 Nadia Cakes is a busy, successful, family-run bakery with locations in Woodbury and Maple Grove, MN and Palmdale, CA. You may have seen us on Food Network’s Cupcake Wars and Holiday Baking Championship and TLC’s show Fabulous Cakes. We’re known for being a great place to work - we have fun! We offer lots of advancement opportunities, benefits, and perks. And did we mention the cupcakes? Below are the jobs we’re hiring for. Since we’re a retail bakery, we need our full-time staff members to have open availability so we can schedule to the needs of the business. Weekends are a must! It’s our busiest time. So if you have the availability, take a look and see if we have a job that interests you. We’d love to meet you! Note: we are always hiring for cashiers at all locations. Please do not complete the form on this page or call our stores to inquire about a cashier position. For this position, we request you come into our store to complete an application in person. Seeking full time cake designers. Must have a minimum of 2 years experience as a professional cake decorator and must present a portfolio of cake photos as part of the application process. An audition may be requested. Experience with both fondant and buttercream are a must. Must have open availability, including weekends. To apply, please fill out the form and submit a resume along with three of your best cake photos. Please note, resumes without cake photos will not be considered.